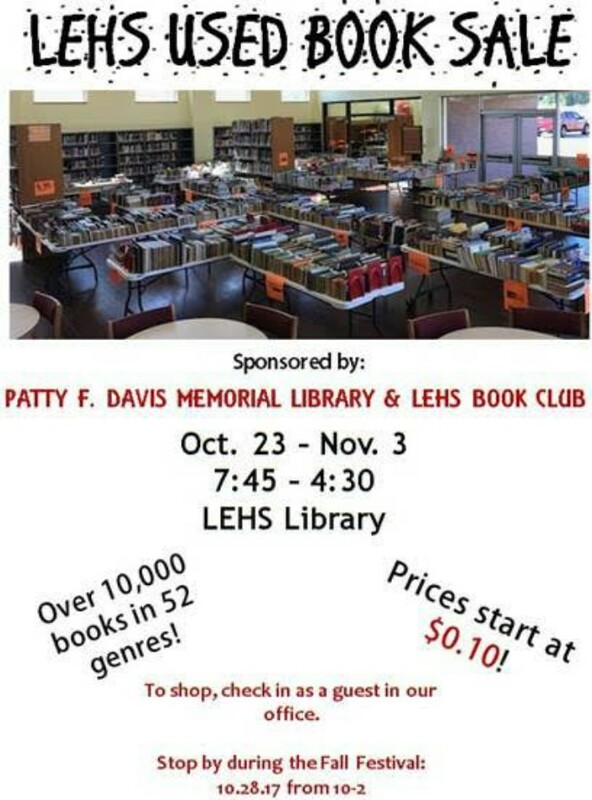 The Liberty Eylau High School Used Book Sale, sponsored by the Patty F. Davis Library and the LEHS Book Club, will take place from October 23 to November 3, from 7:45 am to 4:30 pm in the LEHS Library. Each year, the Patty F. Davis Memorial Library at Liberty-Eylau High School holds a Used Book Sale to raise funds in order to purchase new items for the library and the LEHS students. Student library aides and Book Club members have been working diligently for over a month to sort and price each item and with over 10,000 books in 52 genres and prices starting at 10 cents, there is something for readers of all ages. To shop in the book sale, be sure to stop by the office at Liberty Eylau High School at sign in as a guest and you will be directed to the library to make your selections.